The School of Design is hosting PRINT THING #5, a state-wide symposium and workshop for undergraduate students and printmaking professors to meet, learn, collaborate and have some fun. Students and faculty from Nicholls State, McNeese State, University of Louisiana at Lafayette, Baton Rouge Community College and Louisiana State University will travel to the Louisiana Tech University for the event, scheduled for 11-13 October. 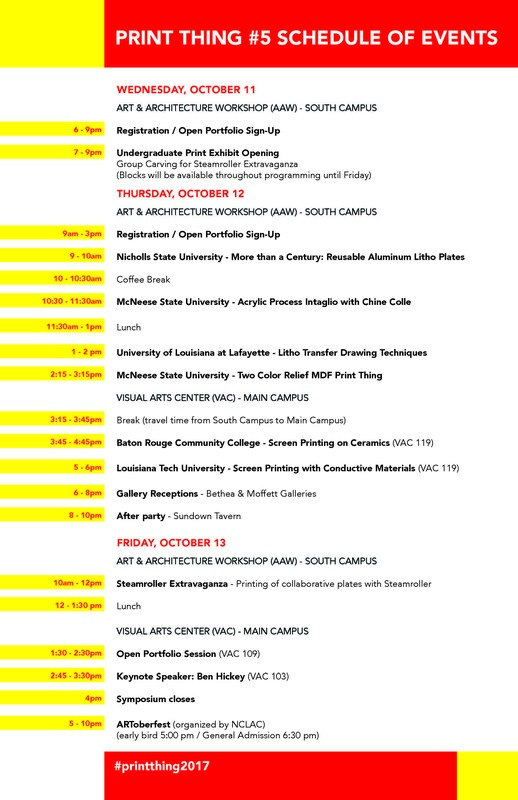 Raluca Iancu, Assistant Professor of Studio Art (drawing/printmaking), serves as the event organizer. Please see the schedule for the list of activities.